Kathcon has over 37 years of complex real estate experience and in excess of $200,000,000 sold in new and existing homes. If that is not enough, they also have the experience of a Land Developer and Custom Home Builder. As a developer, Kathcon has dealt with not only the development process, but also with flood plains, floodways, wetlands, a myriad of soil conditions and bear-ability issues. These experiences have a direct and decisive impact on home site buying decisions, whether the site is vacant land or tear-down. Proper drainage, septic/well or sewer/city water analysis are crucial to a successful acquisition of a new building site. As a builder, Kathcon has completed over a hundred custom homes each considerably different from one another. In fact, Kathcon has never built the same house twice. Consequently, Kathcon can help clients avoid costly common and not so common pitfalls in purchasing a home, new or existing. Offering this experience is unparalleled in today’s market. Kathcon’s clients have a clear advantage in each and every transaction. 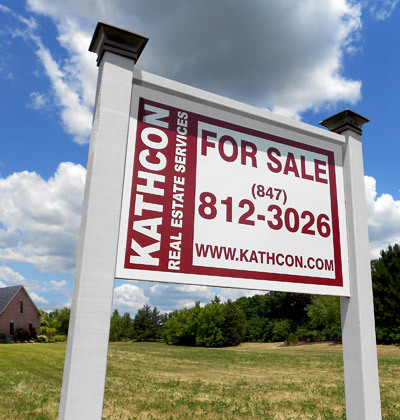 It is not hard to imagine that Kathcon can sell your property with a confidence unequaled in most other Real Estate brokerages. Confidence brings comfort for most stressed out sellers and buyers in today’s challenging marketplace. Whether the project you are tasked with doing is to build, buy, sell or develop, Kathcon is indeed greater than the sum of its parts. Make the right move: call Kathcon, you’ll sleep better.